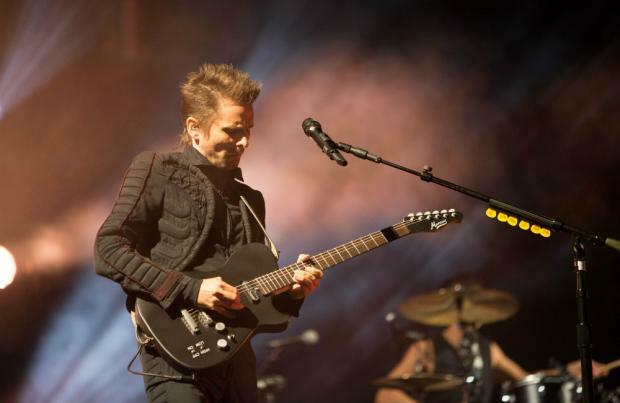 The Muse frontman - who was brought up in Teignmouth, South West England - can hardly remember his 'UFO encounter' and admits it was probably just the affects of the stuff he was smoking, but he definitely remembers seeing something strange in the woods. Speaking to Gordon Smart on Radio X, he recalled: "I saw this flashing light that was in the woodland. "And it was really unusual at that time of night, 'cause it was like one in the morning. "What it was though, I remember just waking up at home, and to this day I don't quite remember the journey from there home. "I was driving so I definitely didn't drink anything. I'm not suggesting that at all, but I may have smoked something that was grown in Devon. "It was some kind of tobacco, so it was more likely that than being abducted by aliens." The 'Psycho' hitmakers - completed by Chris Wolstenholme and Dominic Howard - are set to play at The O2 Shepherd's Bush Empire on August 19 in aid of The Passage, a centre for homeless and vulnerable people. Full on bombastic assault of operatic guitar gymnastics from the mighty Muse.